Belkasoft updates Belkasoft Evidence Center, the company’s flagship digital forensic solution, to version 7.3. The new release comes with significantly improved file carving and SQLite analysis algorithms. With this update, Belkasoft Evidence Center enables investigators discover more evidence faster, while raising the bar of SQLite analysis to a whole new level. In addition, the product now supports Cellebrite Link Analysis integration, and offers numerous other enhancements. Carving hard drives or binary disk images helps investigators locate evidence that was hidden or destroyed by a suspect, such as deleted photos, cleared browsing history, internet chats and so on. Belkasoft Evidence Center has been known for its advanced carving algorithms, enabling the discovery of several hundred types of data in both allocated and unallocated areas of the storage device. In version 7.3, Belkasoft Evidence Center brings major improvements to the carving algorithms, significantly reducing the time required to carve the disk in many scenarios. 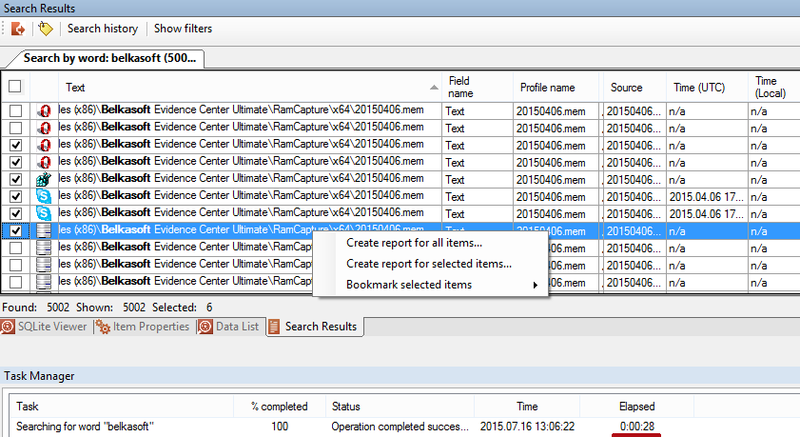 Added to Belkasoft Evidence Center 7.3 is the new carving mode that analyzes just the free space of allocated areas of the disk. 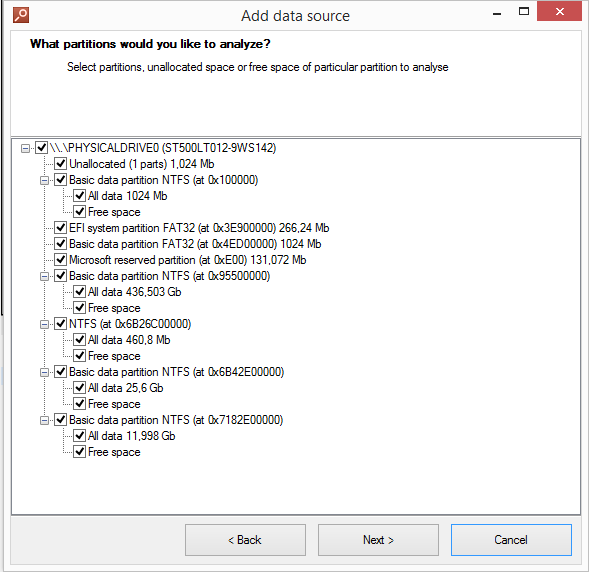 This type of analysis specifically targets deleted files, locating destroyed evidence much faster than ever before. Many forensic experts referred to SQLite analysis algorithms used in Belkasoft Evidence Center as the best in class. In version 7.3, SQLite Viewer was empowered notably, offering massively improved performance and making it possible to process huge databases in a matter of seconds. Selected column values can now be converted to multiple data types such as date and time, integer and floating values, string types and so on. Specified column types are stored throughout the investigation, and show up in reports that can now be directly generated from the SQLite Viewer. Searching for, locating and analyzing evidence is a major function of Belkasoft Evidence Center. The search engine has also received a tune up in version 7.3: with major improvements to search performance, greatly decreased search index and reworked Search Results, searching for, viewing and analyzing evidence has become even more robust and convenient. Existing customers with non-expired Extended Software Maintenance and Support contracts can update to version 7.3 free of charge. File System and RAM Process Explorer modules can be purchased separately.